This is the instant activity I designed to celebrate the 12 days leading up to our Christmas break. From today, December 3rd until December 18th, we will continue adding exercises until the final day, when we perform all 12 exercises in a row. We'll be using festive music during the rest of our warm ups. 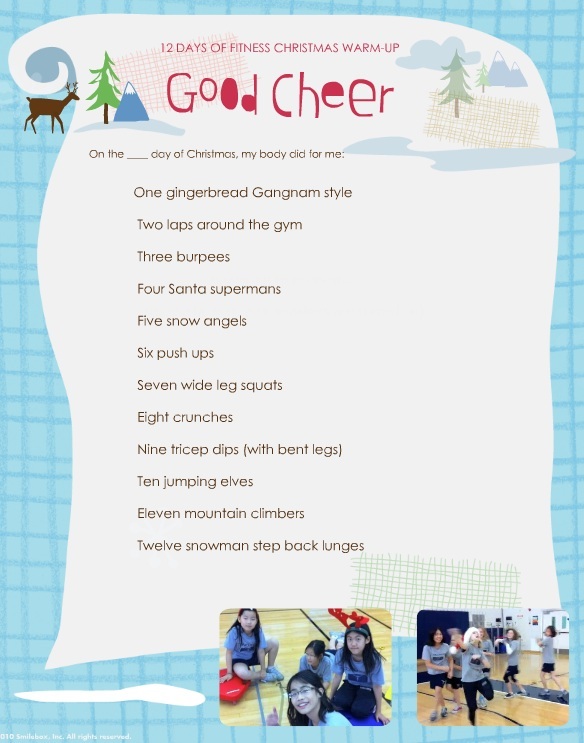 Songs like "Run Run Rudolph" and "Rockin Around the Christmas Tree" are always student favorites. Hope you find this idea useful!